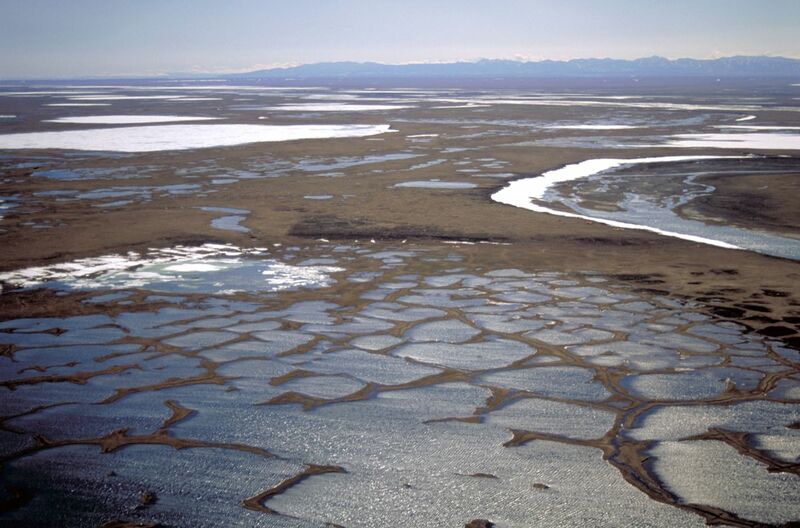 Top Interior Department officials visited two northern Alaska communities this week to tell residents that the agency will soon launch the regulatory process to lease lands to oil drillers in the coastal plain of the Arctic National Wildlife Refuge. The officials visited the communities — Kaktovik in the refuge and Utgiagvik to the west — to let them know that the agency in March will publish a notice in the Federal Register of its intent to move toward an environmental impact statement on the planned leasing, said Joe Balash, Interior assistant secretary for land and minerals management. Congress and President Donald Trump in December approved drilling in a section of the 19-million-acre refuge after 40 years of unsuccessful attempts by congressional Republicans to allow it. The measure called for the first lease sale within four years, but conservation groups have been on edge over concerns that the agency would move much more rapidly. Adding to the tension were statements this week by Sen. Dan Sullivan, R-Alaska, at an energy conference in Houston, Texas. He said the agency could hold a lease sale as early as next year, though he added it had set no timeline. Drilling, however, is not expected for a decade. Balash is Sullivan's former chief of staff. Traveling with Balash this week was David Bernhardt, Interior's deputy secretary. Balash, after returning from ANWR on Wednesday, did not rule out a lease sale next year. 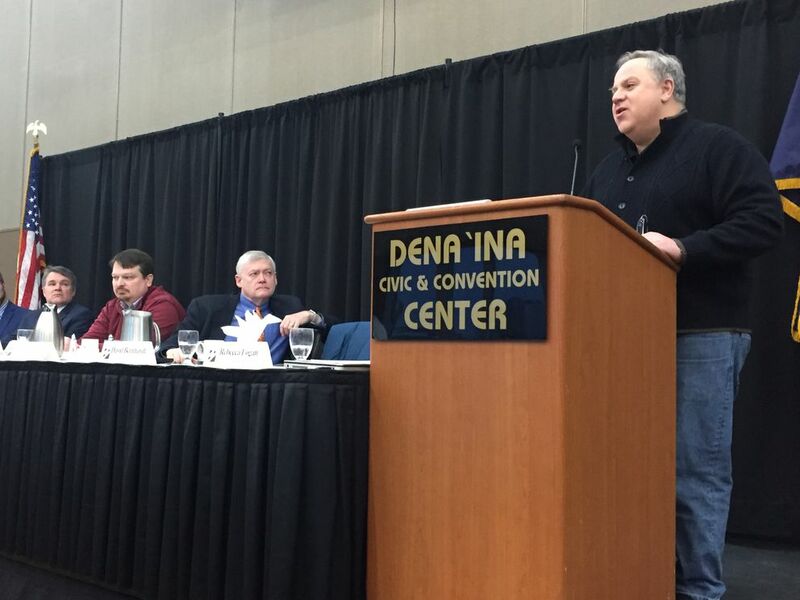 "I worked with Senator Sullivan a long time," Balash said. "He's got very ambitious goals for us. Whether we can meet them, we'll see, but we're not wasting any time here." The Wilderness Society's Alaska director, Nicole Whittington-Evans, said the rapid push is another sign of the Trump administration's "headlong rush to sell off America's public lands for development," at the cost of making informed decisions about the negative impacts of oil and gas development. The agency "cannot possibly complete important processes or fully consider the concerns of local communities in their attempt to drill at the earliest possible date," she said. The primary reason the two officials are in Alaska was to meet with North Slope Native communities about the leasing plans. "We know this issue will attract a lot of attention and passion, and we want to make sure we listen closely to the people most affected, Kaktovik and the North Slope Borough generally," said Balash. Utqiagvik is the government seat for the borough. The Interior officials met with the borough assembly and held a community meeting in Kaktovik to discuss the plans, Balash said. The officials heard from people on both sides of the issue. "For some people it can't happen soon enough; others were never interested in it," Balash said of a lease sale. "But they also recognize the reality of what Congress has done, and want to make sure we pay special attention to things they depend on, like hunting areas, hunting seasons and that sort of thing." Balash said the agency was also meeting with state officials this week on cooperative steps as exploration plans move forward. The Walker administration is asking the Legislature for $10 million to help pay for a seismic study in the little explored coastal plain. The state is looking for partners, including potentially the federal government, to help pay for the costly study. In Kaktovik, some people were angry there was short notice about the meeting, he said. "We did get some helpful advice for our next visit, which is to make sure the meeting took place in the evening rather than the morning, and that we provide more notice," Balash said. "As we explained, this is the beginning of a conversation." Balash said the notice in the Federal Register will kick off a "scoping period" opening the "opportunity for people to talk to us about a range of issues needing to be considered" during the development of a draft environmental impact statement, a step before a final statement is developed. The agency has also delivered letters of invitation to Native tribes and corporations, part of the agency's obligation to consult with those groups, he said.